Which form of the deity should be worshipped in today’s time? 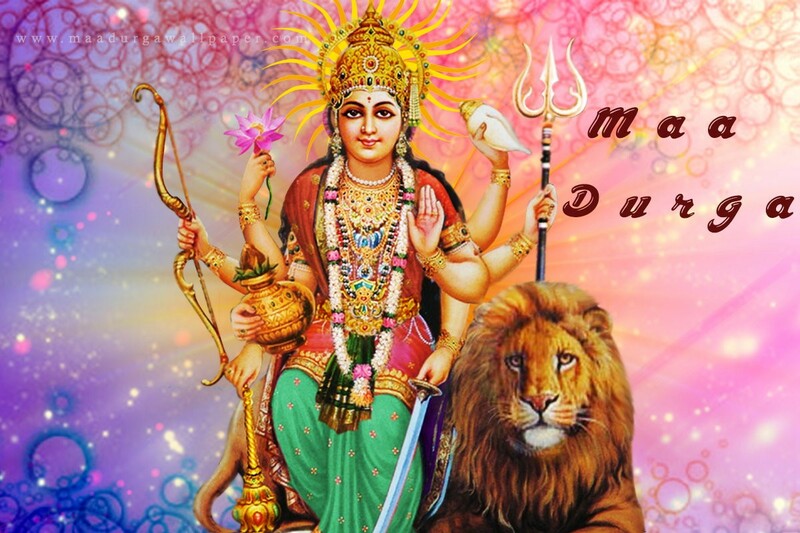 Ever since my childhood, I have been observing the different forms of Goddess Durga. Sitting on a lion and looking at devotees with love, is the form of her that most of us worship at home. Goddess, in her 'saumya' or benevolent form, looks serene and divine. However, the most common image of Durga that we find during Navratra celebration is one in which she is slaying a demon with her Trishool. As a child, I used to wonder what a magnificent personality she is that she can fight with demons despite being a woman! If we go by Puranas, when the male gods fail to tame a particularly tricky demon, they created a goddess to do the needful. They gave her each of their own armours and thus empowered her with every weapon that she might need in killing the demons. The Goddess, though, never overpowered the Gods who created her, rather she kept on battling all alone and relegated them firmly to the side-lines as spectators awed by her might. Although Durga is respected as an Indian origin Hindu woman, she continues to violate the submissive image of the Hindu woman on most counts. I could never fit her in the man-made frame of a submissive- Sanskari woman, rather she excels in all male- supposed-to-do functions. She fights a great solo tiff and, in the process, shows off her command with weaponry in her hands. She shows anger, she goes rough, she is dominating and despite many efforts of associating her with life-supportive qualities and linking her to the peripheries of the world of married woman, she is always fierce, and not one so-called Sanskari woman. 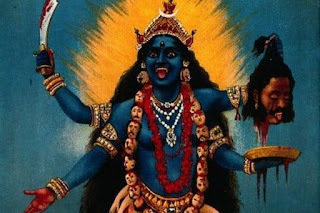 Remember, the form Kali? She is such an opposite portrayal of a common woman. She eats flesh, drinks madira and dances over the bodies of her opponents. She appears horrifying. She wears skulls and behaves so egotistical. However, a few other forms of her puzzled me is regarding her as the supreme power of this world. We often consider Durga in her household avatar (incarnation) Parvati (Gauri) who is very humble and calm. 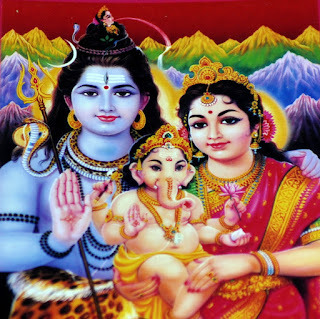 She is a wife (of Shiva) and a mother. She is the one with whom common Indian women have been relating themselves since long, a wife of a whimsical man, and doting mother of kids. However, sometimes I also feel that this form (Parvati) overshadowed the very image of Durga by diluting her aggressiveness, untamed and bloodied original image that depicts her as an invincible warrior. When I got to know the sentiments of people worshipping the Goddess in Bengal, I went even more confused. I found that in Bengal, the devotees usually treat Durga tenderly as a typical married daughter who visits her natal home every year, longing to meet her people and for home comforts denied her by an ascetic husband during the Durgotsav. Her avatar as Uma, is depicting the typical image of a supple woman who is married young in faraway lands. She gives more importance to her husband’s house and visits her parents every year only for four days during a harvest season. And thus the question comes to my mind as how the deity should be worshipped in today’s time? Should she be glorified as slayer who can fight the evil all alone? Or, should she be presumed as a soft and fragile daughter who prefers her Sasuraal over Mayka? Considering today’s time, I feel this dilemma should be broken by realizing that women, these days are battling for their rights everywhere. And the tender image of Goddess cannot continue to live in a society where she would not be getting a husband as good as Shiva and a house as good as the Kailash. Therefore, I have decided to end my ever-going bewilderment towards different forms of Goddess. I have decided to worship her as a fiery cinder. One who slew various demons Mahishasur, Shumbh and Nishumbh, One who is armed and enraged, one who can make her devotees fearful with her dreadful sight. I want to continue regarding her as Chandi whose anger can destroy the entire universe. Now the time has come when Indian women should start regarding Parvati and Durga two distinct Goddess personalities belonging to two different eras. Parvati represents the form with minor roles of the welfare of others. 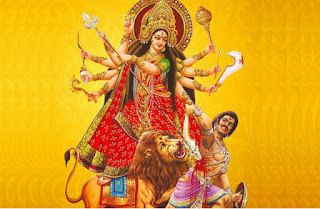 While Durga is all Jayanti, Mangala, Kali, Bhadrakali, Kapalini, Durga, Swaha and Swadha. We need to idealize Durga more and more. I am not asking to stop respecting Parvati, Nope. Rather I am going to change the image that I have at home, the saumya form of Durga (seated on her lion and looking so calm). I am now starting to bow for 'Durga the warrior'. Durga, who is hard to access and defeat. Saumya avatar is so unrelatable nowadays. Do you think so? Your post is very though provoking on which form of the goddess should we emulate. I feel we should be prepared to take up any role as per the need of the hour.